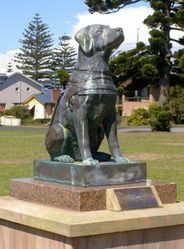 Statue of Tessa commemorates the money raised for the Guide Dog Movement during her 11 years association. 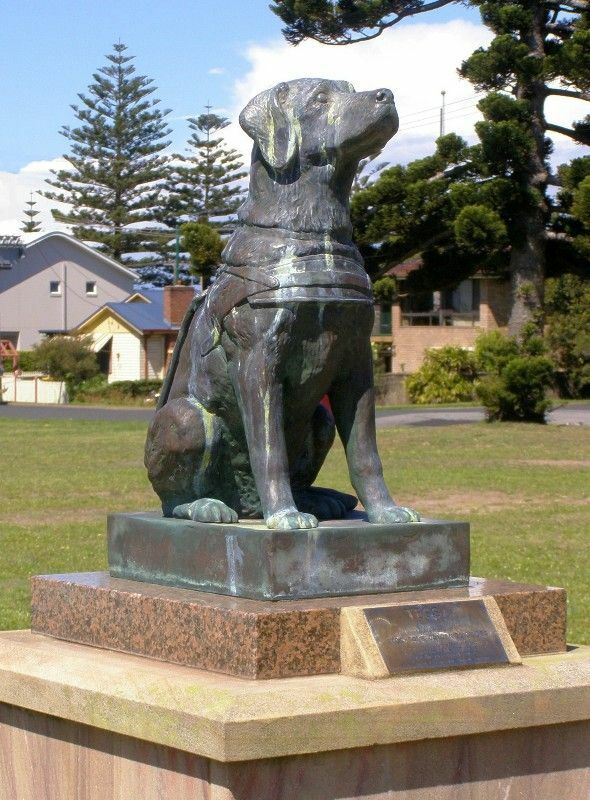 Tessa was the guide dog of Mrs Jean Dowsett of Stockton, Public Relations Officer for the Guide Dog Movement in the Hunter Valley. Tessa died in 1971. Between the years 1958 and 1971, Tessa, along with her blind owner Mrs. Jean Dowsett, would visit the passenger ferry wharf at Stockton seeking donations for the blind. The $45,000 raised by Mrs. Dowsett and Tessa was a world record at the time for fundraising by a single dog and its owner. 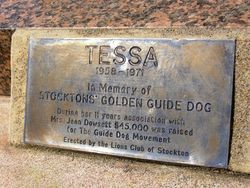 The Stockton Lions Club carried out Mrs Dowsett`s wish that a memorial be erected to Tessa.